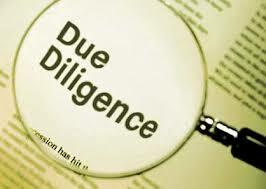 Legal due diligence would include fully understanding all of the obligations of the company: debts, pending and potential lawsuits, leases, warranties, long-term customer agreements, employment contracts, distribution agreements, compensation arrangements, and so forth. Due Diligence normally is a process where of the acquirer’s list of several hundred questions and/or requests for copies of documents that you, as the potential seller, must answer for the seller on or before some date. As a seller, you will also want to do your own due diligence on the acquirer. Do they actually have the capacity to complete the transaction? If they are paying you with stock, what is the record of the stock? Is it likely to still be worth anything when your lockup period expires?